With World Rhino Day upon us, the plight of one of Africa’s most famous and at-risk species has demanded the spotlight. But while white rhinos are something of a poster-child for conservation, it’s important that their Asian cousins are not forgotten - in fact, it is the continents own Javan species which is the most endangered rhino of all. Asia is home to three of the five rhino species: the Javan, Sumatran and greater one-horned (Indian) rhino, and each has numbers of 3500 or less, with the latter species being the most populous. However, these numbers are still dire, and it’s not all that long since things were much worse for the greater one-horned in particular. Back in 1975, the one-horned rhino’s overall population stood at a meagre 600, with an increase in numbers seemingly owing to conservation efforts throughout India and Nepal - two countries with firm, if opposite approaches to wildlife protection (see: India’s Kazaringa National Park and its ‘shoot-to-kill’ policy, versus the societal and governmental synergy of Nepal, both of which are described in a previous TGP article). To improve on population numbers to such an extent is certainly impressive, but it is the gatekeeping of national parks (as well as a much stricter approach towards wildlife crimes than seen even in some African nations) which helps to keep the rhinos protected. It is not only Kazaringa National Park where this is prevalent: Nepal is home to Chitwan National Park, which is protected by 130 armed guards hired by the government and has been the case since the 1960s. A sense of local pride and responsibility sees members of the community monitor the park from its buffer zone, too. In addition to a national contribution to conservation efforts (the people of Nepal play a huge role in conserving the local wildlife and their habitats), a no-tolerance policy on behalf of the government has certainly benefited wildlife in Nepal. Indeed, an initial prevention of poaching activities may have helped India and Nepal to grow their rhino populations: since 1910 and 1957 respectively, both nations have held laws in place to prohibit rhino hunting activities throughout the country (India) and to protect the animals and their habitat. But these efforts can only go so far. In this case, the greater one-horned rhino is the only species out of three found throughout Asia which seemingly has any real hope of survival. The Sumatran rhino is in dire straights with fewer than 100 individuals left alive; the Javan rhino, now found only in national parks, is a species consisting of just 60 or so members. Other Asian countries have also seen their rhino populations vanish as a result of viewing their horn as a commodity: Vietnam was once home to the Javan rhino, too, but an insatiable thirst for products and medicines made from rhino horn saw their final specimen slain in 2010. It is often reported that the consumption of ground rhino horn (as well ivory) for use in medicines and aphrodisiacs majorly contributes to the disappearance of rhinos and elephants globally, and while this is certainly true (particularly in China and Hong Kong, where exotic medicines are prevalent), any amount of these products purchased supports the ongoing slaughter of the animals worldwide. Indeed, Europe has emerged as a hotbed for both trades, with no less than 10 countries selling illegally-obtained ivory in stores (this is something that has been proven by radiocarbon dating: nearly one-fifth of items collected in this report were found to have come from animals killed after 1990, which is illegal - global restrictions were put in place in 1989), while those in search of rhino horn will seemingly stop at nothing - just last year (2017), poachers broke into a Paris zoo specifically with a rhino and its horn in mind. The rhino was found slain the very next morning. The UK has been found to be just as much of a problem for both the ivory trade and for its treatment of rhino horns as a commodity. 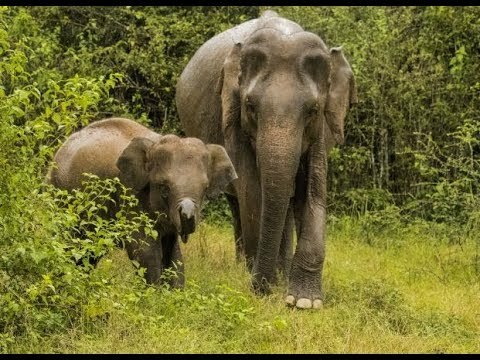 Surprisingly, the nation was found to be the world’s largest export of ivory (2017), selling more of the product to China and Hong Kong versus any other country - in fact, the USA was the second-biggest export of ivory, but still fell 370% behind what Britain was selling (this revelation came just one week after the then-foreign secretary Boris Johnson demanded an ‘all-out ban’ on ivory exports, whether ‘legal’ or not). Similarly, rhino horn has been found to bring in huge value when sold in the UK, whether to nationals or to those from overseas. Back in 2011, a single article of rhino horn was sold for an eye-watering £155,000, and the same year saw crime rings across the UK carry out thefts of further rhino articles, each of which held remarkably high values. But one might wonder: what does this have to do with the plight of Asian rhinos specifically? Whether looking at ivory or at the rhino horn itself, it could be argued that a global willingness to provide such commodities for Asian consumption feeds a sense of ‘supply-and-demand’; that by not simply cutting ties with Hong Kong, China, Vietnam and the like, export nations such as the UK are, in turn, encouraging such countries to remain set in their ways. Indeed, those aforementioned crimes were thought to have taken place as a result of the price of rhino horn skyrocketing in Vietnam, making such a commodity more valuable than either gold or cocaine - could it be said that the UK’s position as a major export of animal products had, in fact, made it the perfect place for such crimes to be committed? With Asian nations knocking on our door for all manner of animal product, sold to them by criminals and auction houses alike, are we emboldening their thirst for these supposed cancer-curing, status-building, mystical products? And does this contribute to the continent’s loss of its own horn-bearing animals? Asia has all but eradicated its own rhinos, with the last few survivors existing in something other than their free, natural home: the national parks which exist throughout India, Nepal and so forth may be big and beautiful, but there is nothing natural about the presence of armed guards. In many ways, it is a miracle that certain governments have prioritised conservation to such an extent, allowing their civilians to play a role in wildlife protection too. Despite the best efforts of certain communities, conservation groups, and national governments, one must wonder if there could have been other ways to help protect Asia’s rhinos. Could a global contribution to Asian wildlife conservation, still, help to resurrect the country’s rhino species? At the beginning of this article, we pointed out that the plight of Asia’s rhinos - no matter how severe - seems to, somehow, fly under the radar. One reason for that is a lack of media coverage which, in turn, might translate to a lack of global interest overall. The difference between the media’s focus on African rhinos and Asian rhinos is astounding, but aside from a link which some may feel is somewhat tenuous (i.e the notion of animal products being exported between the West and Asia, funding the pockets of those such as Europe), there is a definite lack of focus when it comes to something quite fundamental: tourism. Asia’s rhinos are in no way a drawcard for tourists visiting the continent: while pandas and orangutans dominate the market in terms of wildlife observation, rhinos are sadly not on the touristic map. This may not seem like an area of importance for many, but make no mistake: a heightened level of interest in a species offers that animal protection in more ways than one might imagine. Take, for example, one of the most famous aspects of African tourism: safari drives. Visitors to the continent often arrive en-mass in hopes of witnessing the famous ‘Big Five’ out in the ‘wild’- lions, leopards, elephants, buffalo, and of course rhinos round out the selection of fantastic species to witness on a drive through the wilderness, and while each of these species do have their own struggles and threats (no amount of interest can totally protect an animal from the poaching epidemic), it is indisputable that the spotlight on those animals provides some kind of benefit to their survival. Tourism funds the running of wildlife parks, nature reserves, and even education centres, meaning there is more money to go around to help keep those animals safe. A larger focus on Africa, too, sees charities offering far more of their attention and funding the continent’s wildlife protection: more than 80% of the monies distributed by Save The Rhino were pumped into African rhino protection which, while certainly important, can be seen as something of a bias. Some have even referred to this apparent bias as ‘utilitarian conservation’: that the value of protecting wildlife has a direct correlation to the wants and needs of humanity. A lack of interest spells disaster for countless species, if this is a belief system you choose to recognise - and while the poaching epidemic, the illegal pet trade, and loss of habitat are all very valid issues to combat head-on, apathy in other areas can be just as much of a problem. It is tremendously difficult to have eyes on all areas of wildlife conservation, but when our focus is skewed in favour of one species/location far more than towards another, it becomes easy for those problems to be missed. While the world looks in one direction only, other issues are able to crop up somewhat surreptitiously. So what is the answer to the question of just how we can work to protect Asia’s rhinos? Sadly, it may be that it is too late to resurrect the Javan species in the wild: with just 60 or so specimens left alive, it would be near impossible for this species to be brought back up to a steady population and, in fact, the last remaining Javan rhinos on earth can be found only in Ujung Kulon National Park, Indonesia. Similarly, the Sumatran rhino (restricted only to the islands of Sumatra and Borneo) have frighteningly few numbers at less than 100, and the only way to protect this species and the Javan rhino is to support the conservation efforts of such organisations as the WWF. (If you choose to donate to a charity, however, do make sure that your money will reach the countries which need it most!) As for the greater one-horned rhino, hope may not yet be all lost. While their numbers are still not where they would like to be seen, it has been proven that the greater one-horned rhino can be brought back from extinction and, today, national parks and sanctuaries do their best to keep the animals safe. Your donations in funding (via organisations such as the WWF) can continue to help pay for the positions of the guards and can be used as investments to fund research into other threats, as well as the research for necessary areas such as reproductive health and population growth. Aside from offering donations to rhino charities, you can do your part to protect rhinos not only on World Rhino Day, but forever by refusing to purchase items with rhino-horn elements to them. You must also be sure of where you choose to view rhinos, if that’s how you’d prefer to travel - be vigilant and keep your eyes out for counterfeit ‘conservation’ sites. Additionally, it is important to hold our own governments accountable for their place in the wildlife trade, so it might be an idea to seek out petitions to sign - after all, if we continue to push our guilt under the rug and turn the other cheek, the future for Asia’s wildlife may become even bleaker. Finally, why not sign this petition by the WWF to help protect the animals? The ‘survey’ takes just a minute or so to complete but could contribute to the protection of all rhinos across the globe. However you choose to support the cause, you can make a difference. 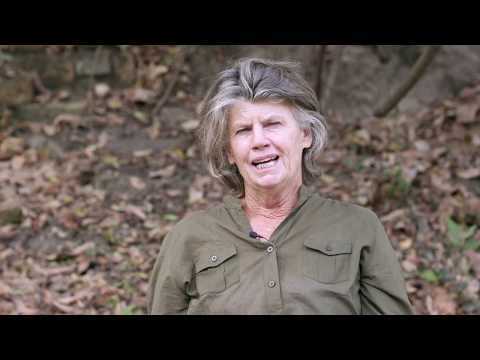 Want to aid rhino conservation with The Great Projects? Head here to find out more!